Combine the cookie crumbs, 1/4 cup of melted butter and the tablespoon of sugar. Beat the 3 packages of cream cheese with 1 1/2 cups of sugar for 1 minute. Add the eggs, cocoa, sour cream, buttermilk, vanilla, vinegar and food coloring. Mix on low speed jut until fully combined. Bake at 325° for 10 minutes. Reduce the heat to 300°. Bake 1 hour and 15 minutes until center is firm. Cool on wire rack 30 minutes. Cover and chill 8 hours. Beat the 3 oz of cream cheese and 1/4 cup of butter until smooth. Spread over the cheese cake. 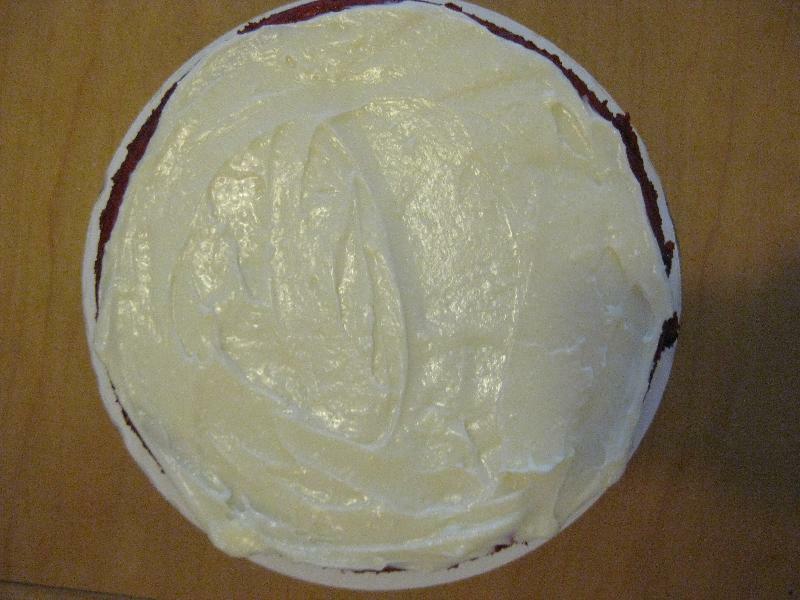 Remove the sides and bottom of the pan (I placed mine on a cardboard cake circle). 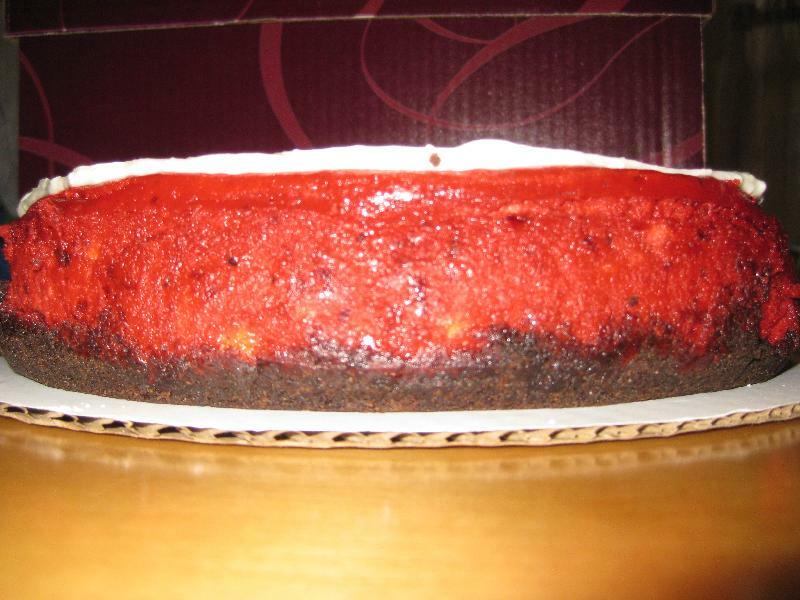 anonymous : Mmm - I have yet to try a red velvet cheesecake but I'm guessing its even better than the traditional cake!